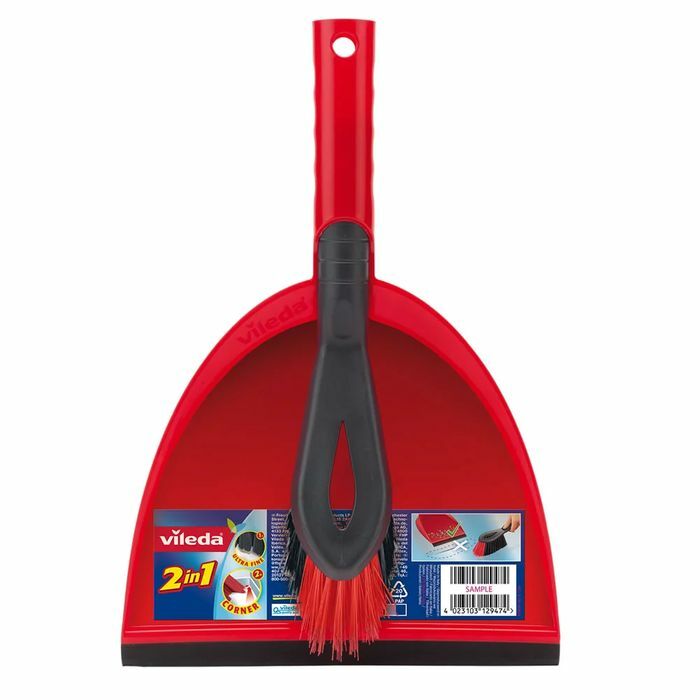 Vileda Dust Pan and Brush Set Red - £1 Off! This Vileda 2 in 1 Dustpan and Brush Set is ideal for quickly getting through cleaning tasks around the whole home. The dustpan features a flexible pan and rubber lip that help to easily collect dirt on uneven floor surfaces. The brush has black bristles for sweeping hairs and dirt, as well as firmer, angled red bristles that are ideal for reaching right into corners and along edges.